Parag Pal, the eminent civil engineer, comes up with another useful video tutorial for civil engineering students. 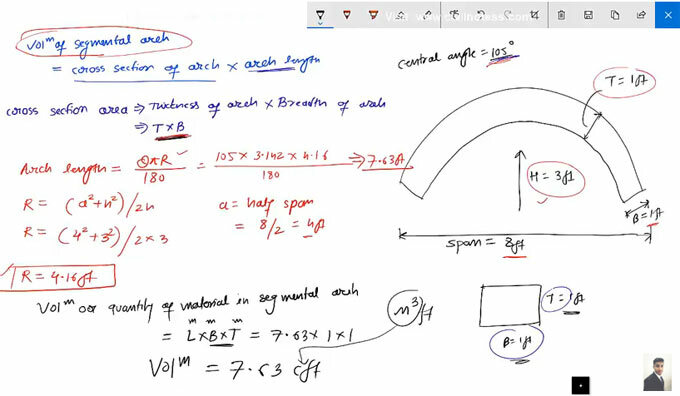 In this video, he teaches how to work out the materials quantities of a segmental arch. Here, the segmental area of the arch is given. For online demonstration, go through the following youtube video.